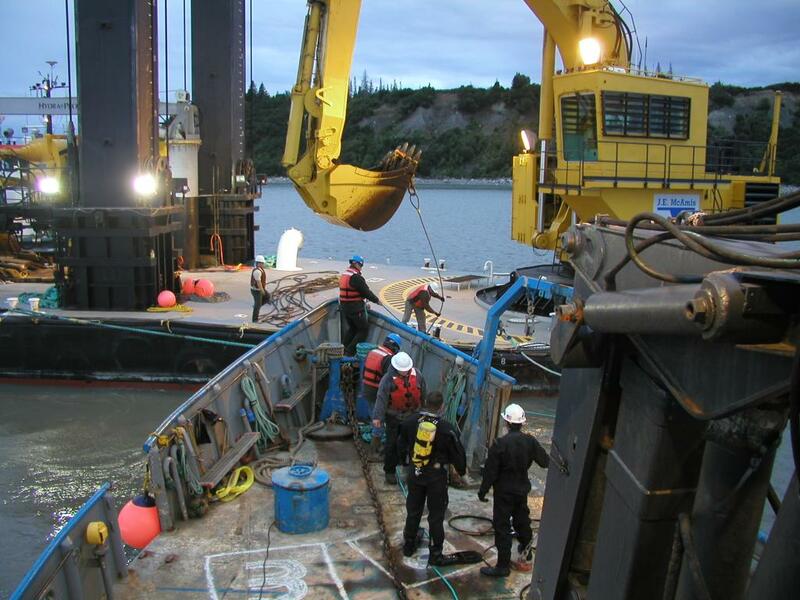 Cook Inlet Pipeline Burial - Global Diving & Salvage, Inc. This pipeline burial project in the Cook Inlet of Alaska involved the burial of production pipelines running to the West Fourlands. 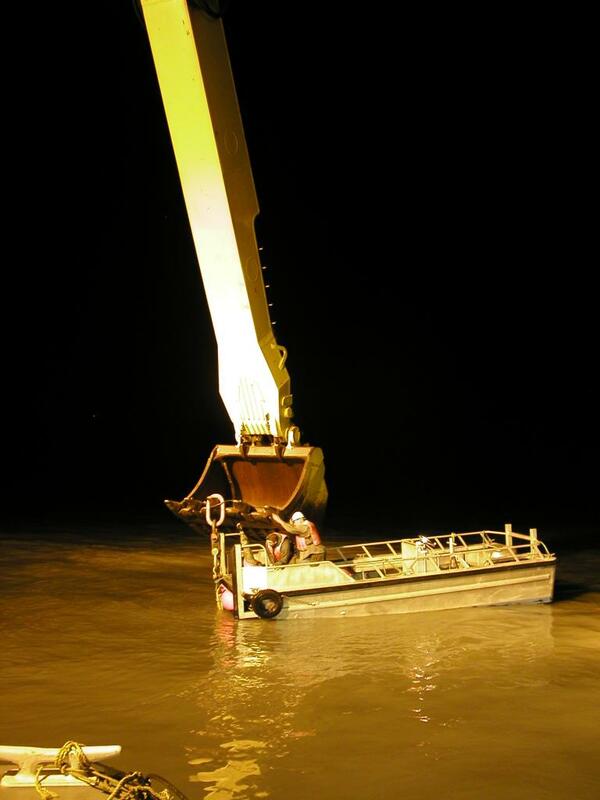 Global crews used a computer-controlled walking spud barge with a 15-yard backhoe on board, and dive support was provided by the DSV Sand Island.